Ditching cigarettes for a vape can be super intimidating. 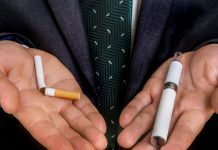 Maybe you’re taking the first step to nicotine cessation or perhaps you are just trying to choose the healthier option to improve your lifestyle. In either case, you probably have a ton of questions about switching from smoking to vaping. Whatever your circumstances, there is no question that vaping is a bit more complicated than simply lighting up a cigarette. There are so many different devices and such a variety of juices, builds, and accessories, that it’s natural for beginners to experience some confusion. However, once you familiarize yourself with the basics, you will forget why you were anxious about vaping in the first place. Questions and concerns? Luckily for you, a little bit of online research or a trip to your local vape shop should clear up most of your inquiries. To get started, here is a basic list of things you need to know when you’re making the switch from smoking to vaping. First of All, How Easy Is Vaping? This is something that I believe keeps a lot of smokers from making the jump. As a smoker, you walk into a store and purchase your favorite brand. Aside from keeping a lighter on hand, that is as complex as it gets. Vaping is a bit more involved than that, but it’s okay! 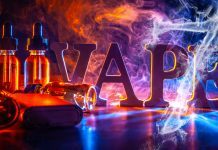 In fact, many of the people who transition from smoking to vaping find themselves happy to have so many different options available to them, especially once they realize there are so many flavors to choose from. The basics really aren’t that complicated. As a novice, all you should know is how to properly use and maintain your vape and what nicotine level to begin with, as well as the charging and battery basics. Usually whatever shop you purchase your vaping device from will give you the need-to-know basics of device functionality and maintenance, as well as how to charge the device and what batteries to use. As far as nicotine levels go, when you are switching from smoking to vaping, the most common recommendation is to try out a 12mg juice and see how it feels. From there you can size up or size down based on personal preference. A lot of smokers who are considering switching from smoking to vaping are concerned with the cost difference. 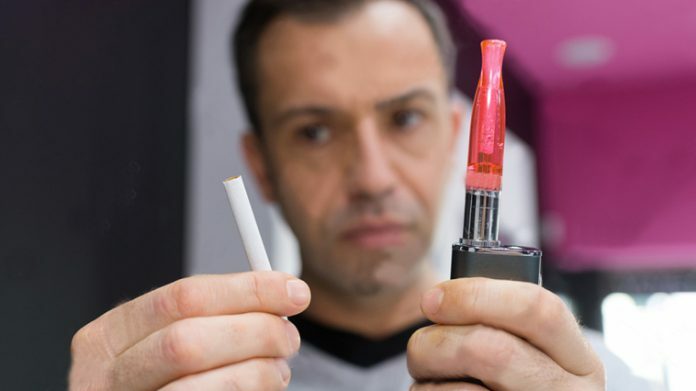 Will vaping cost more money than cigarettes, or will it be more affordable? The truth is that there are a lot of variables. It is impossible to say what one person will spend versus another. Compared with smokers, however, vapers will have more upfront costs but may have fewer weekly expenditures. You will have to purchase a device, coils or cartridges, batteries, and at least one bottle of juice to get started. However, the good news here is once you are all set, the weekly costs will most likely be less than when you were buying packs of cigarettes every week. And although vaping can still be costly, it doesn’t have to be, as there are plenty of ways to be cost-effective and work within your own budget. Will Vaping Really Help Me Kick the Nicotine Habit? If you are trying to quit smoking and looking to vaping as a cessation method, the answer here is that it is possible. There are many success stories. However, remember that everyone is responsible for their own well-being, and quitting is something that is different for everyone. Nicotine is an addictive substance, so you can’t expect that it will be easy. However, the levels of nicotine available to you in e-juices will make it a bit easier to track how much nicotine you are using daily. Begin with a level of nicotine that you feel comfortable with and slowly cut down to lower levels. If you aren’t trying to quit nicotine altogether, you can still lower your intake if and when you wish to. Is Vaping a Healthier Option? There is much debate over whether vaping is healthier than smoking. While studies are still being conducted, it is difficult to discern the truth through all of the media hype. What we do know is that cigarettes can ruin your sense of taste and smell, as well as affect your breathing and future health. Cigarettes also contain thousands of chemicals that are not present in your vape juice. Many people who quit cigarettes and switch to vaping find that they have an improved sense of taste and smell, breathe easier, and happily no longer deal with tobacco stains. As it stands, many of us believe that vaping is a healthier alternative to cigarettes. The best thing that you can do for yourself is to stay educated; do your own research and make your own decisions. Did you find this helpful? Consider clicking one of the affiliate links in this post or using the Vape Deals page on the site to make your next purchase. You get the chance to buy products (at a discount) from great companies, and we get a small commission when you use these links — which helps keep the lights on and pay for more great content. It’s a win-win!